My first personal computer -- the "Sinclair ZX81 Microcomputer"
I purchased a "Sinclair ZX81 Microcomputer" not long after it hit the market -- my first real home computer. 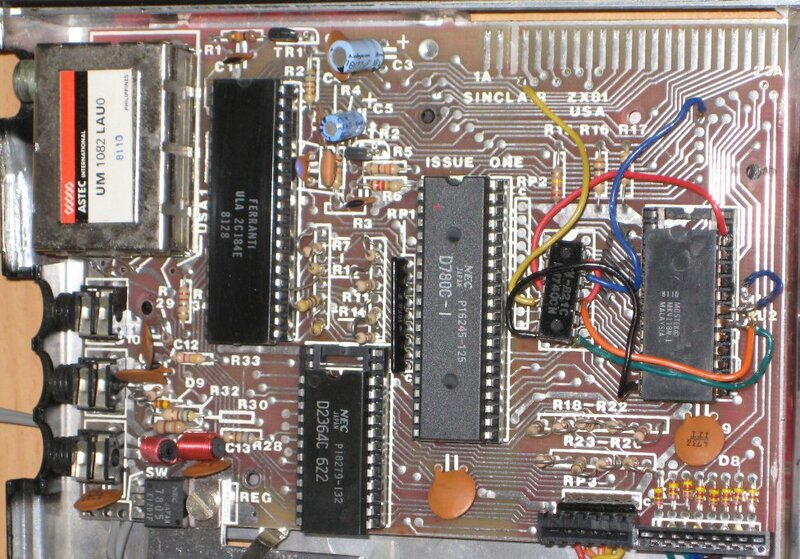 I spent hours and hours on this thing, learning to program in Sinclair BASIC and Z80 machine code to squeeze the most out of my 1K (later 3K) of RAM. Eventually I moved up to a BBC Model B Microcomputer, but the ZX81 definitely whetted my appetite for computing. I've recently uncovered a variety of cassette tapes from my ZX81 days, along with my old unit itself. Still works! 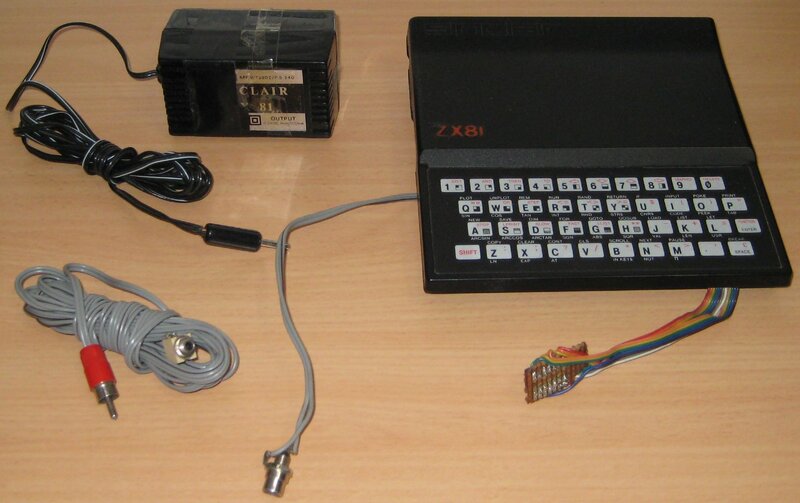 A compact, efficient use of technology for the time, the ZX81 was a 3.5MHz Z80-based computer made by Sinclair Research Limited in the UK. It started with 8K ROM and 1K RAM on board, the video output was generated by the CPU (interleaved with executing BASIC and machine code programs). 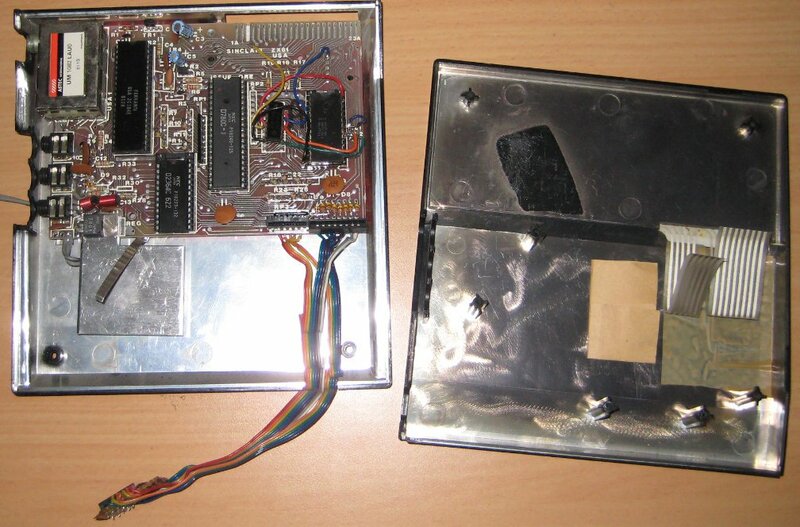 The entire unit was a single box with membrane keyboard, 9V DC input, TV video output, and cassette audio ports. 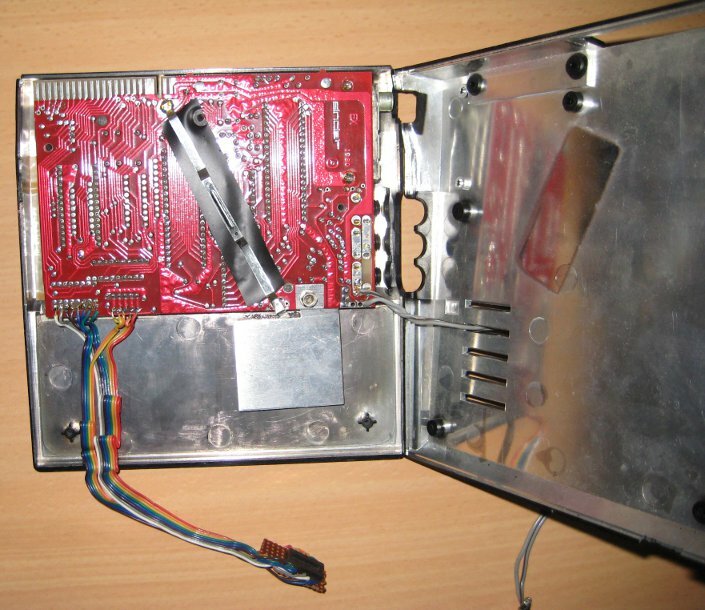 There was an expansion port at the back for devices such as printers, 16K RAM packs, etc. More detailed technical specs (and a whole lot more) can be found at Retroaisle's "Sinclair ZX81" website. 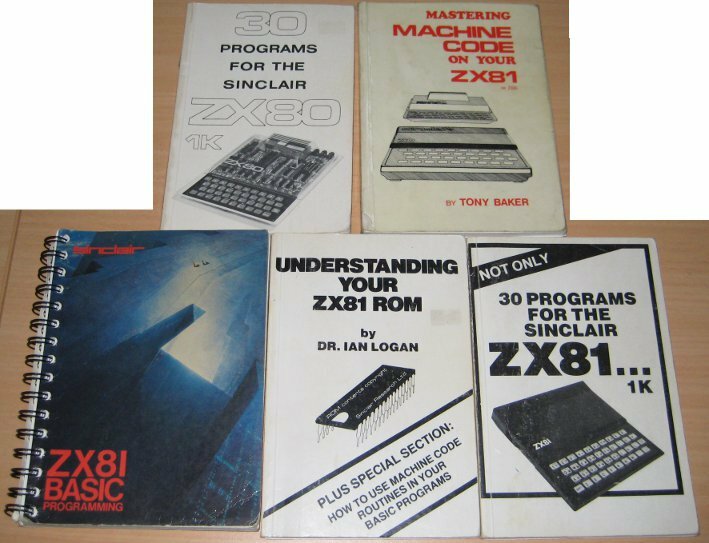 My particular ZX81 started with 1K RAM (using a single 4118 chip rather than the earlier design with 2 x 2114 chips), but was eventually upgraded to 2K and then 3K RAM onboard. 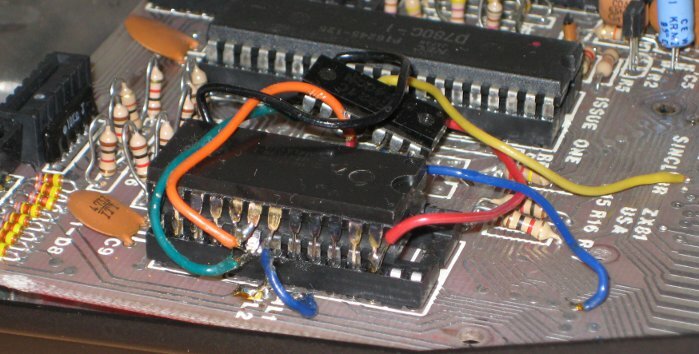 My ZX81 didn't suffer much by way of expansion (unlike my Beeb) -- I limited myself to a more secure power lead, jury-rigged 3K RAM and a rainbow cable bringing out the keyboard connector for an external keypad. In July 2011 I discovered "EightyOne", a quite comprehensive and functional emulator for a wide variety of old Sinclair computers, including the ZX81. I have successfully used EightyOne v1.0a under 64-bit Windows 7 Enterprise edition and under PC-BSD 8.2 using Wine 1.3.21 (specifically the PC-BSD PBI for Wine). In case it disappears from the internet, here is a local copy (1.9MB). Extracting software from old cassette tapes. Capture the cassette's audio using Audacity 1.3.13beta (I successfully utilised both the Win32 version under 64-bit Windows 7 Enterprise, and the unix version as a 64-bit PC-BSD 8.2 PBI). Set Audacity to capture at 11025Hz sample rate. Plug your tape player's output into PC's sound card input, adjust levels so there's no distortion but you're using 60-80% of full signal range. Extract the audio representing individual programs (using Audacity cut-n-paste) by visually inspecting the waveform for periods of quiet followed by the tell-tale tones of a ZX81 program. Save as a ".wav" file using 8-bit unsigned format ("Export"->"Other uncompressed files",then select "Options" and select 8-bit PCM WAV format). Decode the 8-bit .wav file using TSCON3.3, which will extract the SAVE'd program into a ".P" file -- binary images of individual ZX81 programs that are then LOAD'able into EightyOne emulator. Note that the TSCON3-3.EXE executable wont run under Windows 7 or Wine -- you'll need to use something like DOSBox (I had success with DOSBox 0.74 under 64-bit Windows 7 Enterprise and as a PBI under 64-bit PC-BSD 8.2). In case TSCON disappears from the internet, here is a local copy (62KB). Use File->OpenTape to open the LIFE.P file, then "GOTO 1" (do not use RUN). Enter single-digit coordinates as xy pairs (e.g. 3,2 would be "32") to populate the 6x5 grid, then "00" to initiate the simulation. Yes, it is terribly slow and limited.